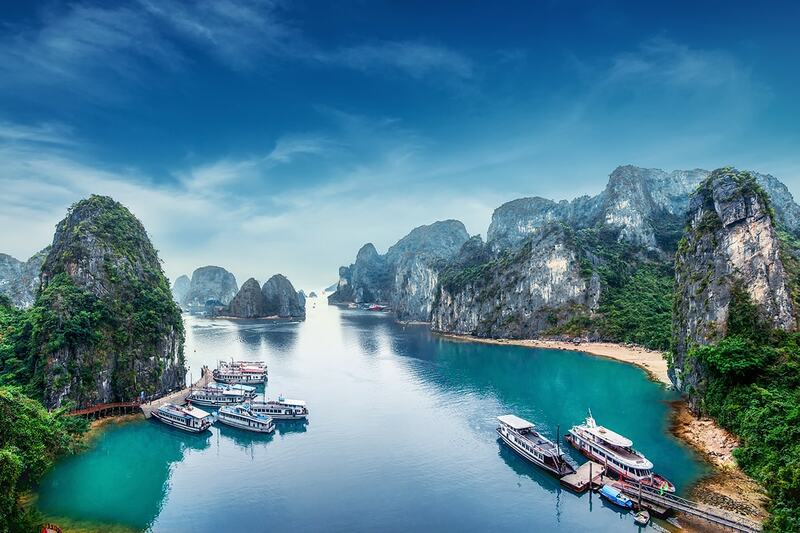 9 day Vietnam tour including return international flights, accommodation, meals, Halong Bay cruise, professional guides, in-depth sightseeing and more. Vietnam is 2018’s hottest travel destination and it’s not hard to understand why. With spectacular sights to see, rich culture to explore, a fascinating history to learn and world-class local cuisine to try, there is no better location for your next holiday. 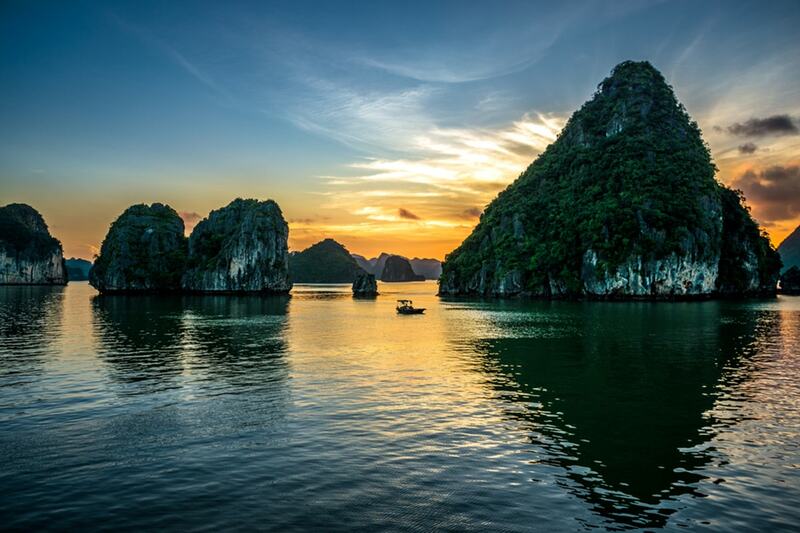 See the very best with this 9 day Vietnam tour. 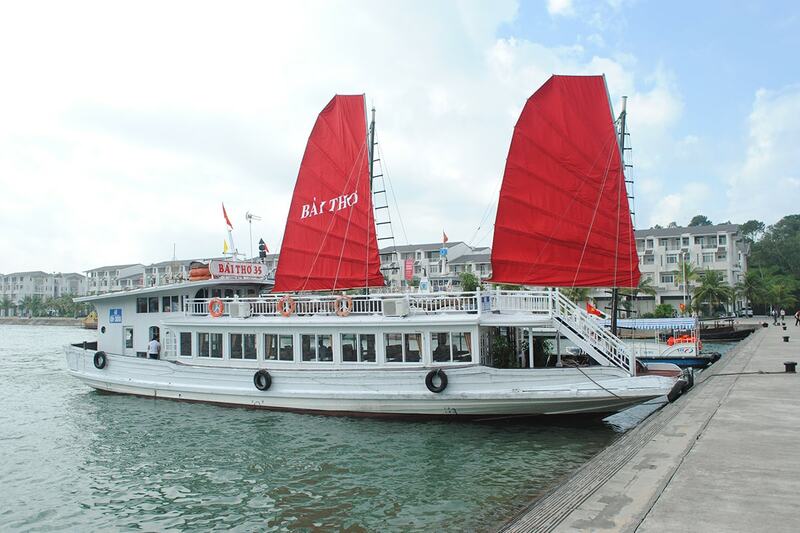 Take in Hanoi’s impressive landmarks, enjoy a boat cruise of breath-taking Halong Bay, one of the 7 Natural Wonders of the World and discover Hoi An’s ancient town and monuments. 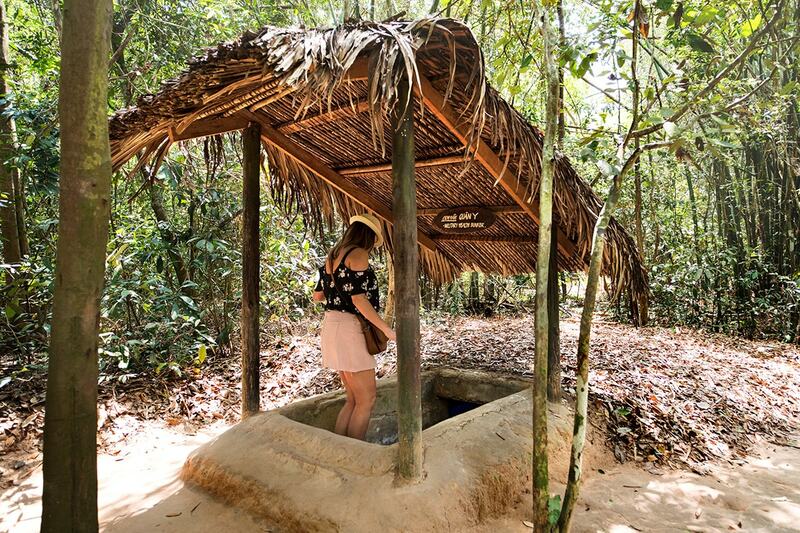 Explore the labyrinth of the famous Cu Chi Tunnels in Ho Chi Minh, choose to see the beauty of the Mekong Delta, enjoy the local street food and so much more. Your package includes return international flights, accommodation, professional guides, breakfast daily, Halong Bay cruise, in-depth sightseeing and more. 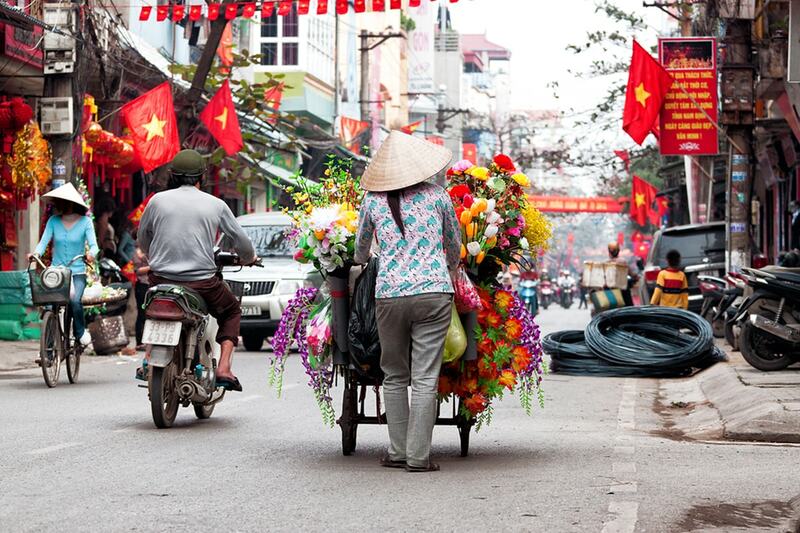 Depart from Australia to Hanoi with Air Asia on an overnight flight. On arrival in Hanoi, you will be met and transferred to the hotel for check in. 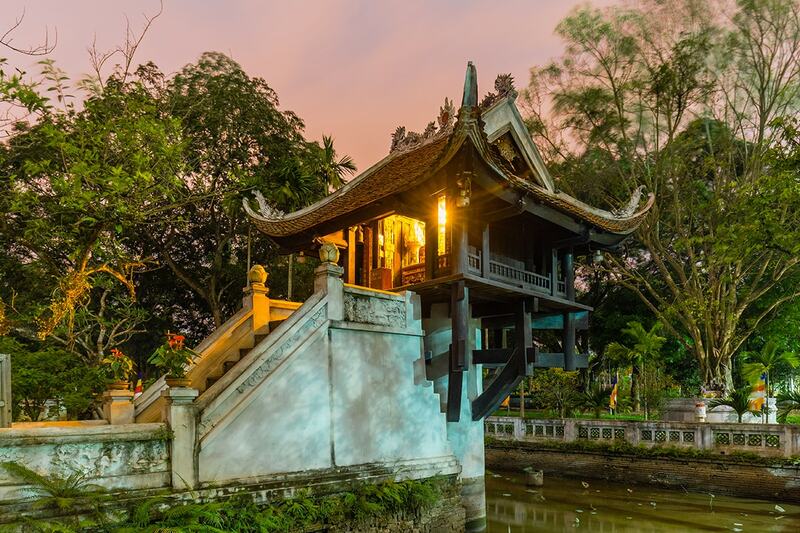 Today you will enjoy a half day visiting some of Hanoi’s highlights such as: Ho Chi Minh Mausoleum and his former residence, One Pillar Pagoda and the Temple of Literature, known as the first university of Vietnam. Lunch is served at a local authentic restaurant. We then leave Hanoi for the approximate four hour drive to Halong. Upon arrival, check in to your hotel and the evening is free at leisure. This morning you will embark on a traditional Junk boat to discover Halong Bay – one of the Seven Natural World Wonders for a four-hour cruise of Halong Bay’s spectacular scatter of islands, dotted with wind- and wave-eroded grottoes, is a vision of ethereal beauty. Lunch is served on board before sailing back to then harbor. We then make our way back to Hanoi. This evening is at leisure or join the optional street food tour. 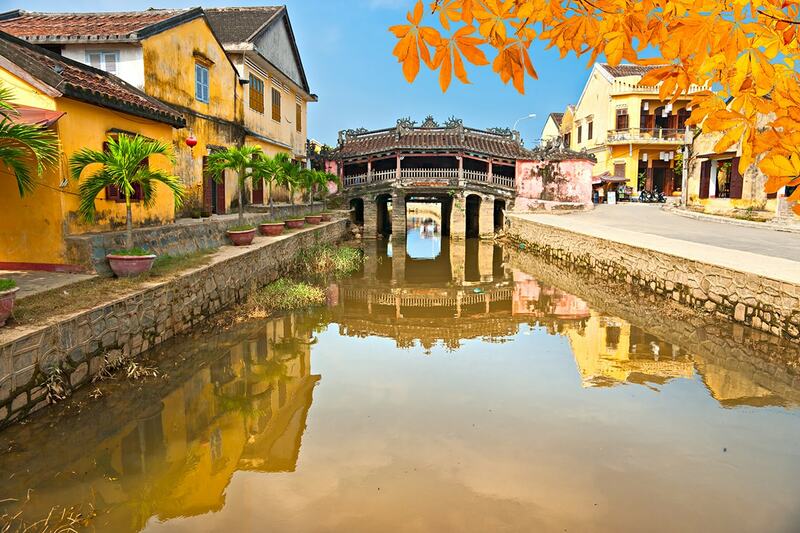 After breakfast, you will take a morning flight to Danang for the ancient town of Hoi An. On arrival in Danang, you will be met by your local guide and transferred to visit Cham Museum and Hoi An Ancient town. Highlights include: Japanese Bridge, the Chinese Temple, and Phung Hung Chinese-trading house. Late afternoon, we drive you to the hotel for check in. This evening is free at leisure. 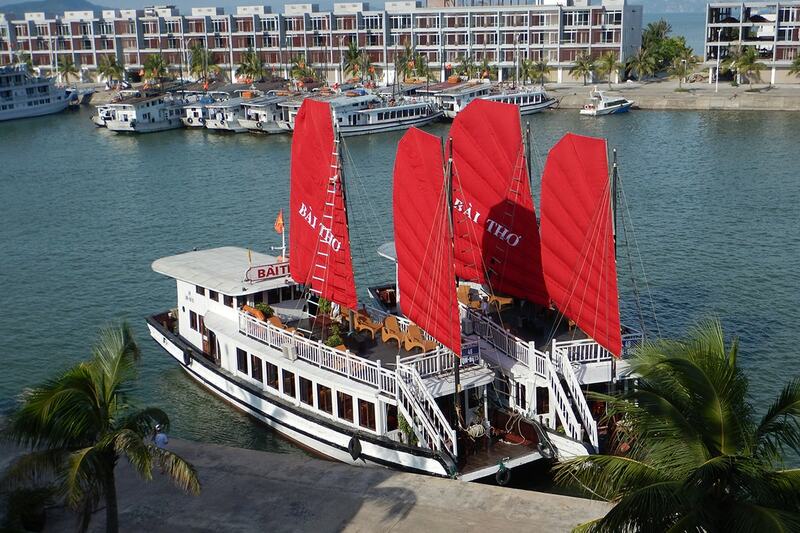 Today you are free at leisure to continue exploring charming Hoi An or take the opportunity to join an optional tour. This morning, take a short flight to Ho Chi Minh City. On arrival, we continue on to Cu Chi Tunnels. During the Vietnam War, guerrilla fighters built a labyrinth of narrow tunnels, using them to hide in during bombing raids and to stage surprise attacks. Today, the remaining tunnels have become a major tourist attraction, giving visitors a unique understanding of what life was like during the Vietnam War. Return to Ho Chi Minh City for check-in to your hotel. Today you are free time at leisure or buy an optional tour to Mekong Delta. 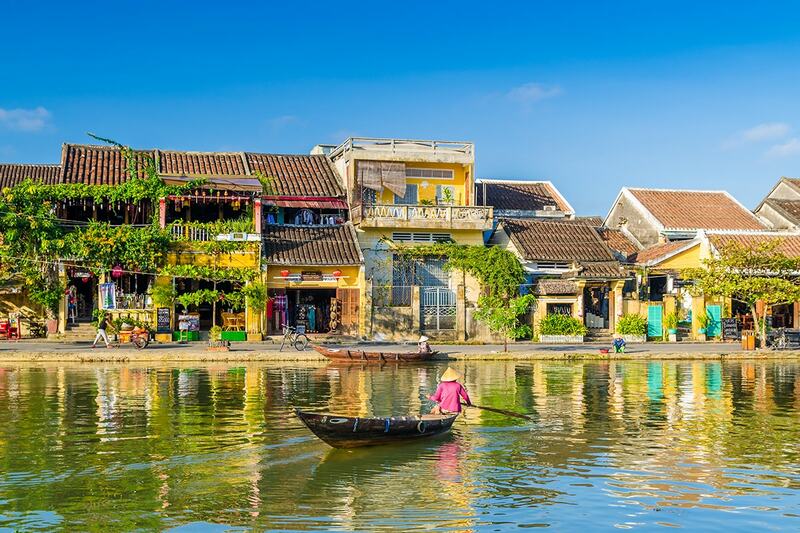 Optional Tour: Travel to ben Tre and take a boat ride downstream to Mekong Delta to discover the unique lifestyle of inhabitants living along the Mekong Delta. Visit fruit and bonsai gardens, a coconut candy workshop and a rice paper mill. Bike ride or travel by “xe loi” carriage along the village road and enjoy local delicacies and tropical fruits, before you head back to Ho Chi Minh City. Lunch is included. Today you are transferred to the airport for your return flight home. Arrive home today ending your amazing trip to Vietnam. 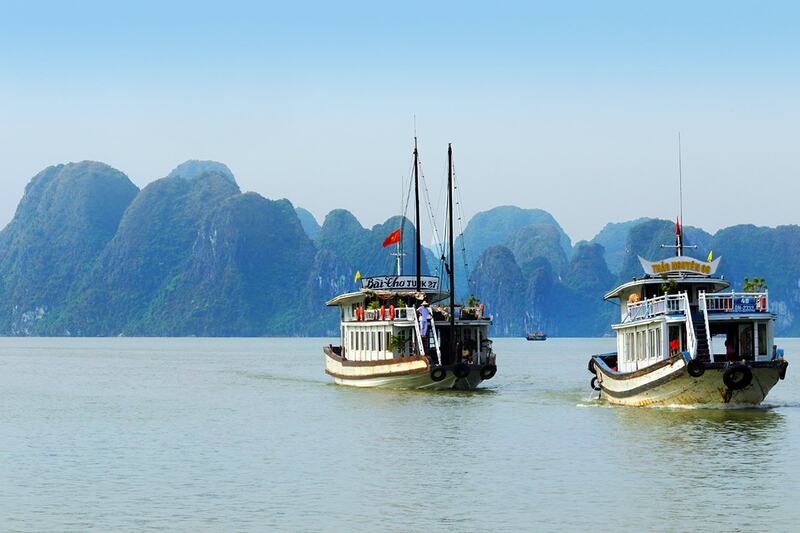 Today you are free at leisure to continue explore Hanoi or buy an optional to Hoa Lu – Tam Coc. Optional Tour: Hoa Lu – Tam Coc: Hoa Lu had been the imperial capital of many dynasties in history. Due to the natural location surrounded by mighty mountains and deep water, the citadel was considered to be the “Great Wall” of Vietnam. In the morning, arrive in Hoa Lu and start exploring the ancient kingdom with thousand-year-old buildings. Visit the famous temples worshipping the lings of Dinh 7 Le Dynasties before embarking on a boat trip to witness the exquisiteness of the karst formations and caves. We will travel back to Hanoi in the late afternoon. 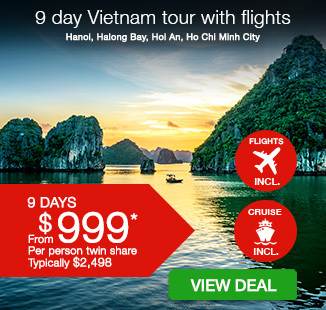 9 day tour – $250 per person in addition to the twin share voucher. 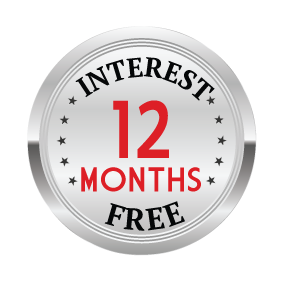 11 day tour – $390 per person in addition to the twin share voucher. * These departures incur a peak season surcharge of $200 per person. ** These departures incur a peak season surcharge of $400 per person. Return economy airfare with Air Asia. Including 1 x checked bag up to 20kg per passenger and 1 x 7kg of hand luggage per passenger.